Good Monday morning We R friends! It’s your blog hostess, Aly Dosdall here to welcome you to Teacher Appreciation Week. As the school year comes to a close for many kids, we thought it would be fun to share some teacher thank-you ideas. 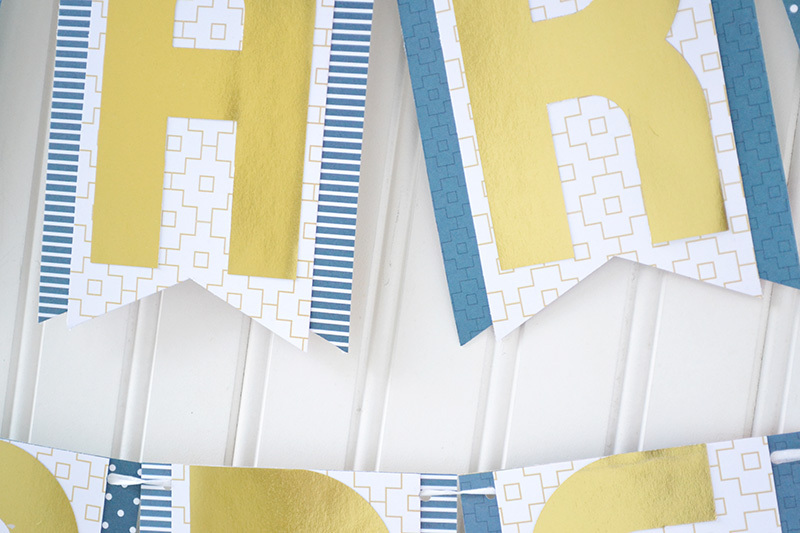 We can’t wait to show you the fabulous gift, card, and decor projects from our design team. They’re perfect for letting your child’s or grandchild’s teachers know just how special they are! Many schools host a special thank-you luncheon for teachers to show appreciation for all their hard work. It’s a great way for the teachers to take a minute away from the chaos of the classroom to enjoy some yummy food and some down time. 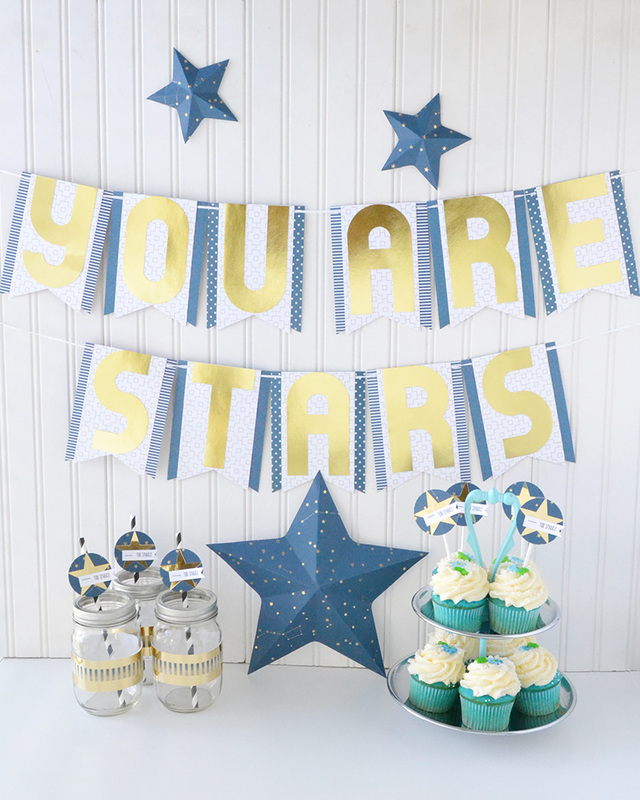 Here’s an idea for a banner and some simple table decor for a teacher appreciation luncheon. 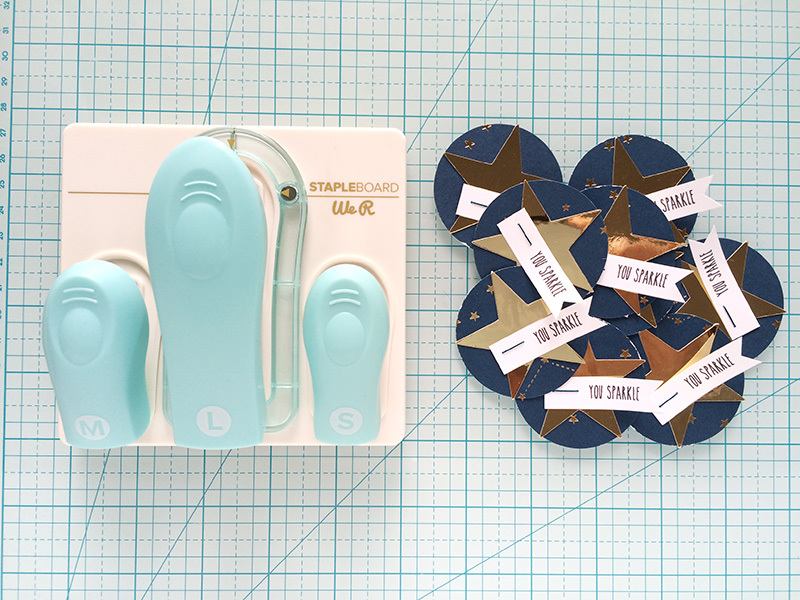 I used some of my favorite We R tools–the new Staple Board, the Alphabet Punch Board, the Banner Punch Board, and the Template Studio Star Guide. 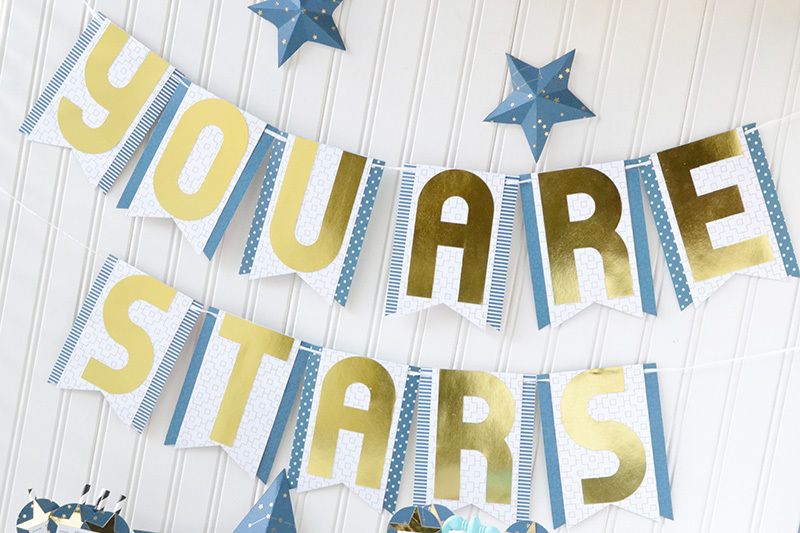 Once I decided on a “star” theme, I started by creating the banner. I used the Alphabet Punch Board and the 3×5 Metallic Paper Pad to create the letters for the banner. I love that the pre-cut paper pad saved me some time, but you can also cut your own paper to 3×5 inches before punching your letters. Then I made some flag banners with my Banner Punch Board. I cut one 3.5 x 6 inch piece of patterned paper, and one 4.5×6 inch piece for each letter. I used contrasting colors of some of my favorite papers from our sister brand, Heidi Swapp, so that the letters and banner layers would pop. Using banner pieces that are the same height but different widths creates a nice staggered look at the ends. I punched holes in my flag banners with the reverse punch on the board, and then threaded some DIY Party Raffia through the pieces for hanging. 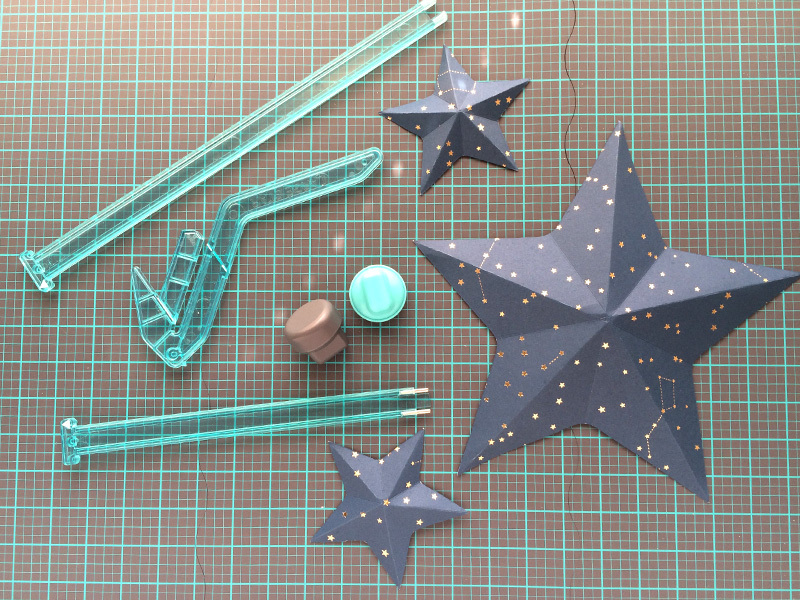 Next, I used the Template Studio Star Guide to create some dimensional stars for wall decor. 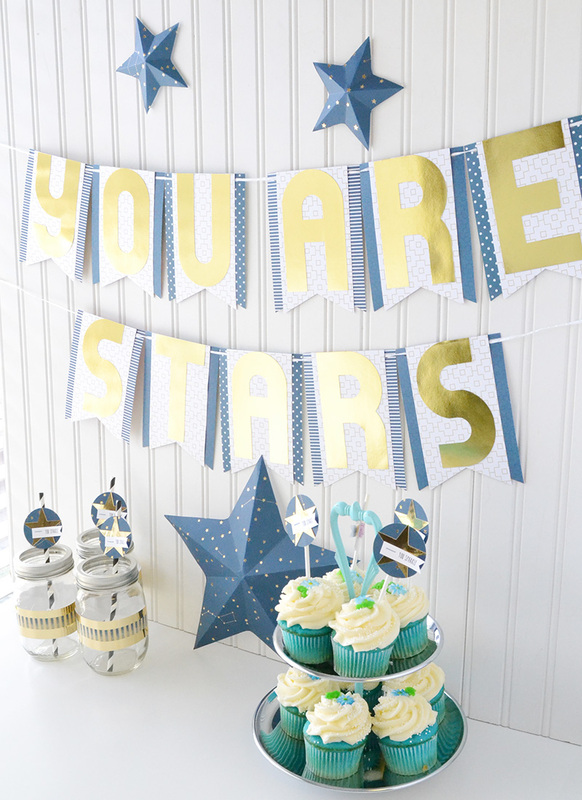 This darling constellation designer poster board was perfect for that! 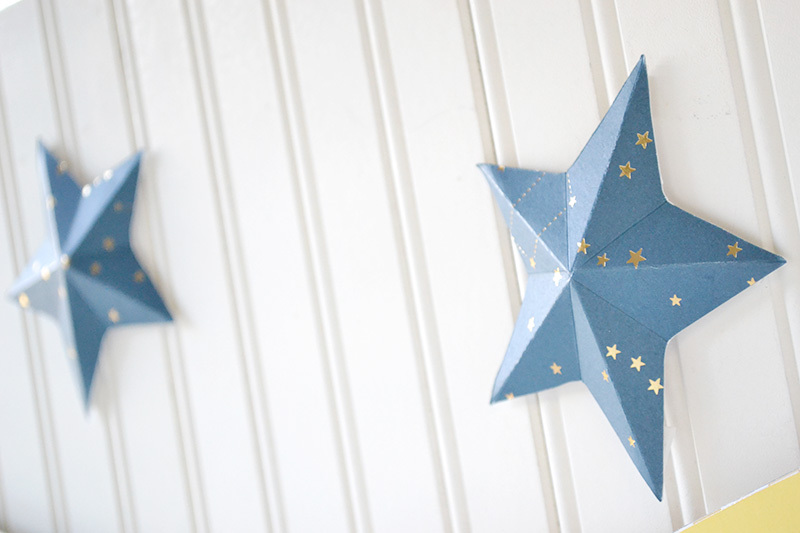 It was easy to follow the included instructions for making the stars, and I love how they pop out from the wall. 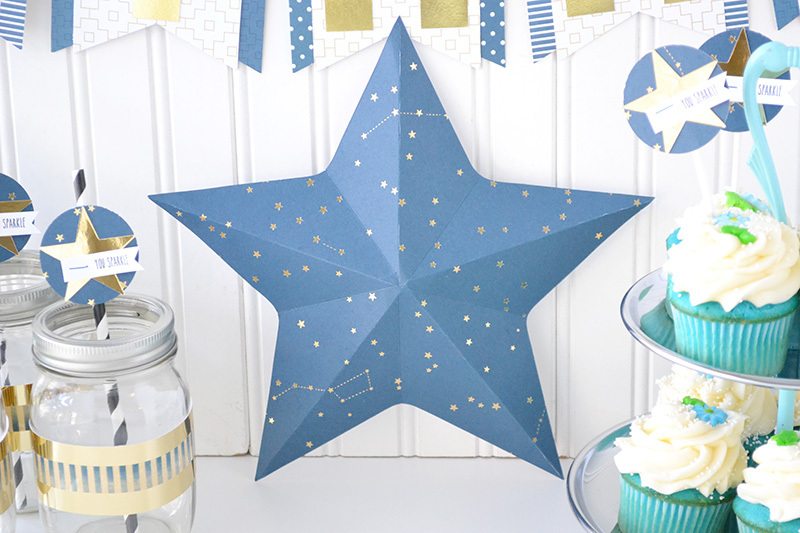 In addition to the included instruction booklet, you can check out this Template Studio Star Guide video tutorial from our YouTube channel below. 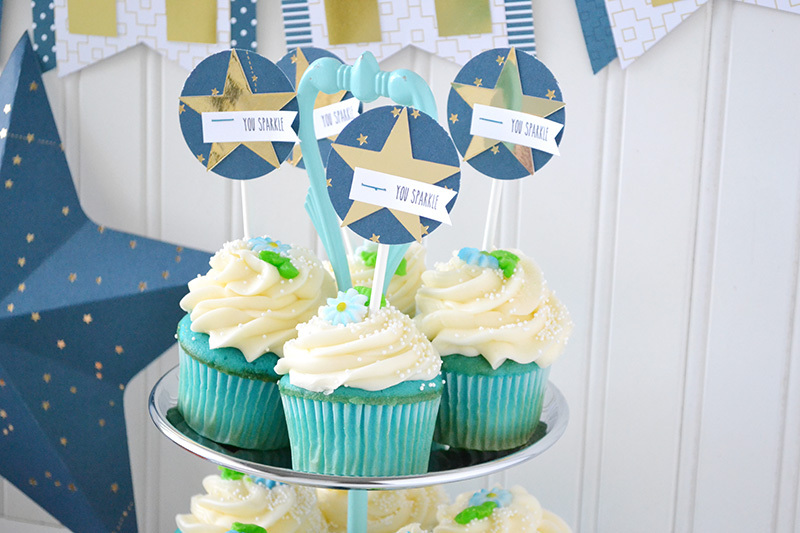 For the final touch to my Teacher Appreciation Luncheon decor, I made some simple cupcake and drink picks with a circle punch, my electronic die cutting machine, and the new Staple Board. 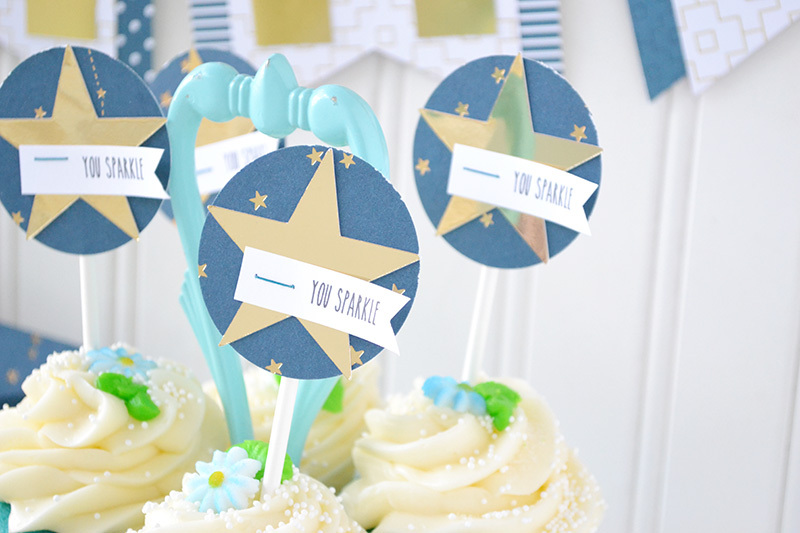 I love the gold foil cardstock from our sister company, Bazzill–it’s just gorgeous on these picks! I attached the printed sentiments with some small blue staples. I love all of the options that the Staple Board gives to crafters. 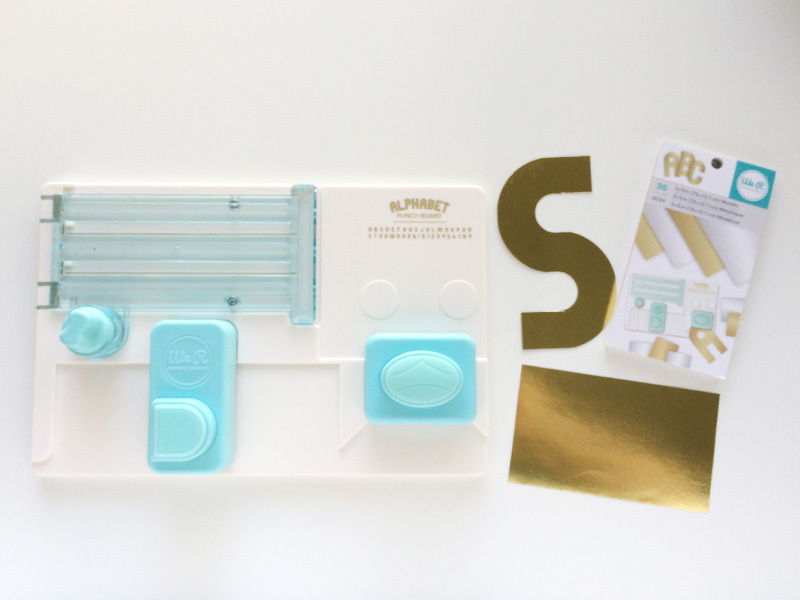 You can choose from large, medium, and small staples in multiple colors, and you can attach your staples anywhere on your project. Awesome! I hope this project inspires some ideas for ways you can express your appreciation to the teachers in your life. Creating something handmade for them is a great way to put your craft supplies to use for a good cause. 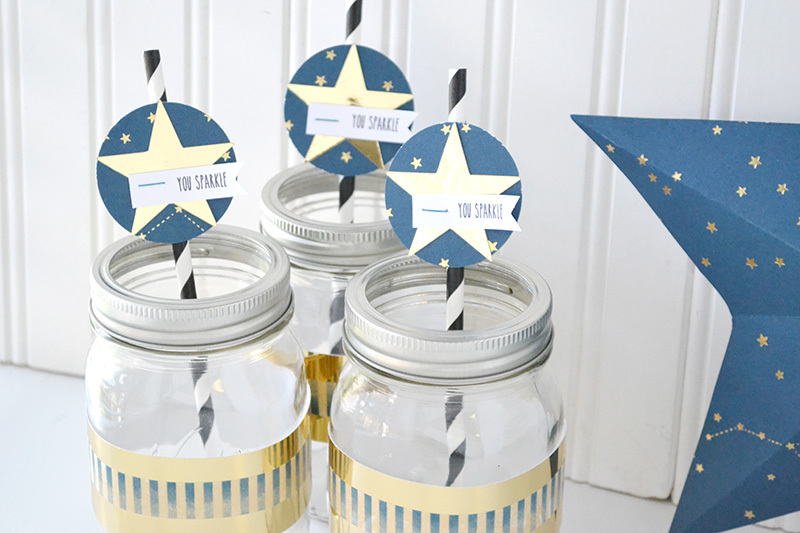 How would you use your crafts supplies to thank a teacher? This is a wonderful way to celebrate the teachers in our lives. They give so much of themselves it is fantastic to thank them for their hard work and dedication! 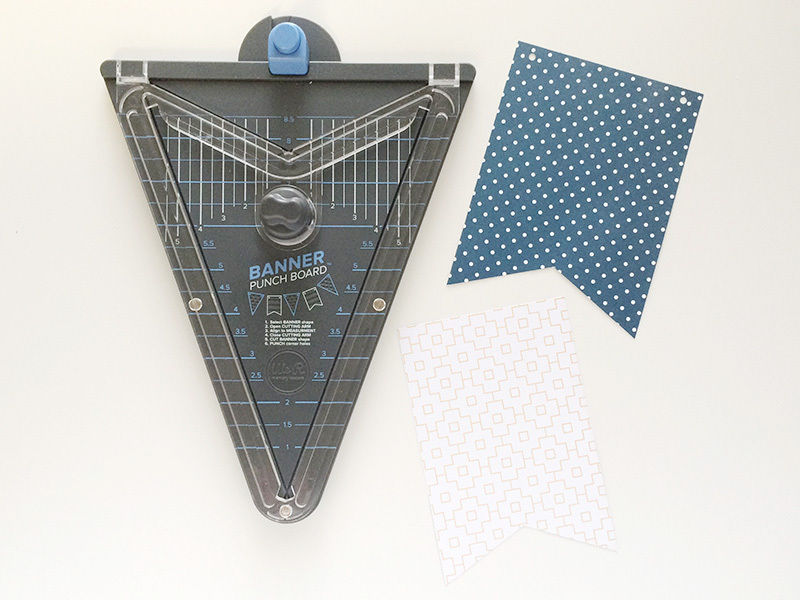 Your tools and Bazzill’s beautiful papers makes it look easy!